When you are on the hunt for the sweetest deal for gold bullion from the best gold dealer in South Florida, look no further than William Youngerman in Boca Raton. For the best offers to buy gold bullion and sell gold bullion, you can turn to William Youngerman because he provides the greatest selection and deals! 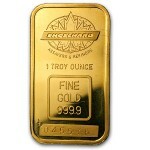 Looking to Buy Gold Bullion in South Florida? Why go to any other gold bullion dealer than the absolut best? William Youngerman buys and sells gold bullion – which he has been passionate about since he a mere 9 years old! With the best and one of the oldest coin dealerships in South Florida, William Youngerman has been able to make a name for himself as a leading professional coin and gold dealer. 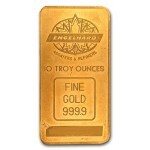 Gold bullion comes in many forms, including US gold bullion coins. 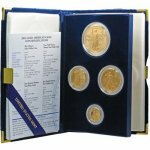 When you need to sell your US gold bullion or purchase a specific gold bullion coin from the United States, go to William Youngerman first. With a vast collection and the best offers to buy gold bullion from you, William Youngerman is simply unbeatable in the coin and gold bullion industry. Are you looking for foreign gold bullion coins or do you have gold bullion coins from another country that you would like to sell? The best coin and gold bullion dealership in South Florida is William Youngerman! Specializing in US and world gold coins, William Youngerman knows the true value of each piece of gold bullion and coin. Not only can you find the foreign gold bullion coins you have been on the hunt for, but if you have a gold bullion coin from another location in the world, you will get the best offer from William Youngerman. For five decades, William youngerman has been involved in the sale, purchase and trade of collector and rare gold coins. When it comes to gold bullion and world gold, William Youngerman is an expert that has even contributed to reference books, such as Friedberg and Krause-Mishler. For professional service when you are looking to buy rare gold bullion coins and fast payment for the sale of your own gold bullion, you can depend on William Youngerman. Whether you are looking for gold bullion bars or want to sell you own gold bullion bars in South Florida, you can trust in William Youngerman to be the right coin and gold bullion dealer for you! The greatest gold bullion bars on the market can be found from William Youngerman, but he also wants to purchase your gold bullion too! 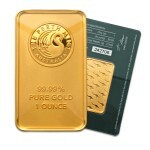 If you are interested in gold bullion, then William Youngerman is the person to talk to! There simply is no greater coin and gold bullion dealer in South Florida than William youngerman. Offering the best deals for your own gold bullion and providing unbeatable prices for gold bullion in stock, WIlliam Youngerman proves to be the best in the coin and bullion industry. Don’t hesitate to contact william Youngerman at 1-800-327-5010 today to sell and buy gold bullion in South Florida.